Been online since the early 80s. Running a highly modded WWIV 4.24 under VMware/eCommstation. (4) nodes via telnet. Bulletin, messages, files, door games, chat, and other info. in BBS. BBS info/ bulletin, game scores, comic and photo of any castles in Web page. L.O.R.D., WT-LORD, Tradewars 2002 game server, and more. Wildcat! v4, and Synchronet system. 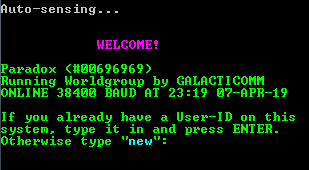 A new BBS, and you are welcome to join! Wizard’s Castle is a neigbor of Wildcat’s Castle BBS. Files, messages, door games, and other info. 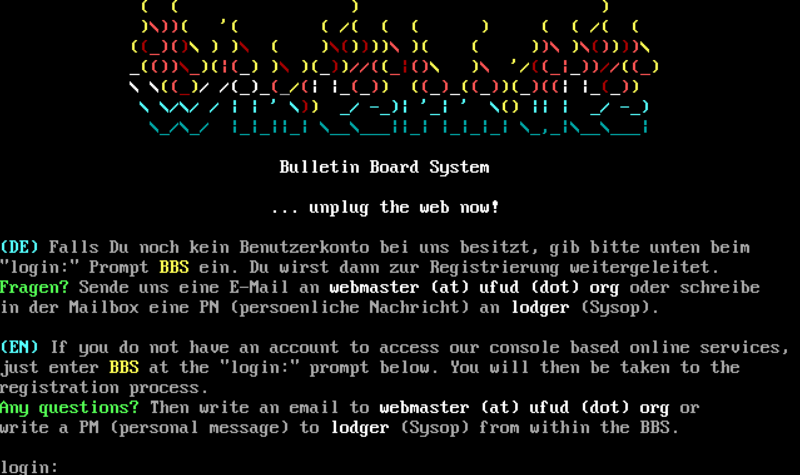 BBS scores and ftelnet in the webpage. Synchronet system. Old School, with a touch of today. Over 240 Doors via game servers. fsxNet, CommodoreNet, RetroNet, FidoNet, CombatNet Games and Message bases, doREnet. New in-house Game Server being added which will hold many registered games, Old School File Base with many older Shareware CD’s. The 2016 reincarnation of Bucko’s Wrong Number ][ BBS last run in 1994. Now running at 19.2K Baud, 4.1Gb Thunderdrive, Commodore 64C, FD2K Firedrive, SD2IEC. Networked message boards, Games, C/G Movies, Text files and a large UD library. The only Image 2.0 BBS in existence online.